If you were not able to attend this year’s International Franchise Association trade show in Phoenix, you missed one heck of an experience! There were so many great sessions and lots of wonderful opportunities to connect with franchisees, franchisors, and vendors. I’ve captured some takeaways that stood out to me based on the work that we do at The Manual Makers. I’d love to talk more about what I learned at #IFA2018 and hear your feedback and concerns as we tackle 2018! The topic of “benchmarking” came up over and over in multiple sessions, including the “Best Practices of Franchise Business Consultants” breakout session where one of the topics of discussion was how FBCs can help tenured, multi-brand owners. The answer: benchmarking. Why? Franchisees need to see where they stack up against each other. And, as they tend to be competitive people, benchmarking can help drive that spirit of competition. Also, FBCs can often use benchmarking to help franchisees see something in the metrics they haven’t seen yet. However, benchmarking is also important for emerging franchisors. It helps them see the possibilities for growth early on with the brand and to identify which franchise partners to collaborate with on best practices. First, share with the franchisee the culture and the why, along with data to support the change. Next, and probably most important, involve the franchisees in the process. Get their input and feedback along the way. Finally, as expressed by Sean Falk, Owner of Great American Cookies/Pretzelmaker, “Tell me why, then show me how.” What we sometimes forget to share is “the why” which is so important for buy-in. But without the how, the franchisee is left anxious about how to execute a big change. The why and the how should go hand-in-hand. Another breakout session I attended was called “Systematize Everything! What Got You Here Won’t Get You There: How Brand Consistency and a Culture of Continual Improvement Accelerated Franchise Network Growth.” It’s a complex title, but the message was to make things simple. One of my favorite sound bites from this session came from Mike Bidwell, President and CEO of The Dwyer Group, which has over 2,700 franchise units in ten countries. “The franchisor’s job is to take the complexity out of the business. That’s why people choose franchises.” One thing potential franchisees find attractive in a brand is that the processes in running the business have already been simplified and streamlined. That part of the work has already been done for them and best practices have been put into place and documented. One of the best and easiest things you can do to set your employees up for success – and to remove some of the complexity of the business (see #5) – is to accurately document all internal procedures. Setting standards and establishing consistency for all roles in a franchise system is one of the most important things you can do. Managers and team members typically have a manual that documents how they should execute various parts of their job, but don’t stop there. Document procedures and create manuals for other positions such as the Franchise Business Consultant and Director of Operations. There are a lot of moving parts when opening a new unit. Create and utilize a new unit opening checklist so nothing is left to chance. Adhering to a timeline can help units open more quickly since they will be following a process for maximum efficiency. a Start-Up Guide that walks the franchisee through the steps of what they need to do from when they sign the agreement to the opening of their first unit. a Franchise Manual that tells the franchisee how to run the business. an Operations Manual that tells the franchise employees how to run the business. Once you’ve got your vision, work with a consultant (like The Manual Makers) to bring it to life in your various documents. It’s so important to tailor your content to your different audiences, such as a franchisor or franchisee, or their employees. One of the biggest challenges that franchisors face with their documentation is that it’s not very consumable. Franchisees are often overwhelmed with the amount of content in their manuals and can’t easily navigate them. One best practice shared by the group suggested that content be separated into volumes so the franchisees can more easily find specific information when needed. Other ideas for online manuals were to have a navigable Table of Contents and the ability to use strategic keywords for search. So much focus is usually placed on creating manuals for franchisees that the franchisors are often overlooked. Employees of the franchisor also need a manual that communicates their culture and brand standards. An employee handbook that communicates the vision and mission of the brand is instrumental in getting new hires excited about joining the team and getting them off to a successful start. A franchisor’s manual can also be a helpful tool in strategic planning, goal-setting, and coaching other employees. If you have questions or comments about any of these takeaways, I’d love to hear them. 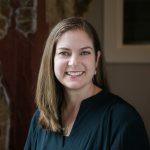 Erin O’Brien, Managing Partner with Manual Makers, enjoys leading the team of technical writers and content designers to create beautiful and useful materials for her clients. Erin’s mix of experience in franchise training, customer service, communications, and project management allows her to build strong relationships with her clients to construct manuals, guides, handbooks, and training materials. Prior to joining Manual Makers Erin worked at Popeyes Louisiana Kitchen as the Manager of Operations Content and Systems in the training department. Erin earned a bachelor’s degree in Speech and Communications from Clemson University. Erin and her husband Danny live in Dunwoody, Georgia with their two young daughters. When she’s not cheering on her Clemson Tigers or at the park for a playdate, Erin can usually be found visiting her family and friends in Charleston, South Carolina or sampling the culinary creations Danny makes on his Big Green Egg. © Copyright 2019. Manual Makers. All Rights Reserved.